Kik is a popular messaging app that runs on both iPhone and Android phone. The app is very similar to messaging apps such as Viber and Whatsapp. However, what makes the Kik app different is because of the sense of anonymity it gives its users. You can register on Kik without supplying your mobile number unlike what is obtainable on Whatsapp and Viber. There are many reasons to want to run two Kik accounts on one phone. One of those situations is that you want to separate your business from your private life. This is a perfect situation that makes people want to open two accounts. Keeping your business strictly professional also means being able to separate it from private life. Another situation is just wanting to keep separate accounts reaching out to friends and the other way for families. Can You Have Two Kik Accounts on One iPhone? It is possible for you to have two Kik accounts. However, according to the Kik’s official website, you cannot use two accounts simultaneously on one iPhone. You will have to log out one for the other before you can use it. To create a second account on the app, you need get a new account using an entirely different email. The snag about this, however, is that once you log out of an account; your chat history is wiped off. So you have to be sure not to leave any unread message before logging out. Saving or exporting Kik chat history is what you should do first before using two Kik accounts on your iPhone. Here you may need a professional Backup and Restore Tool for iPhone. 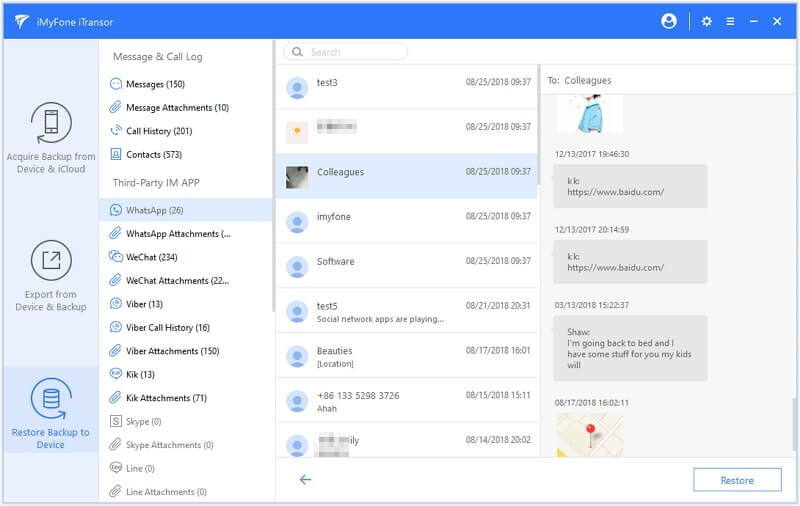 iMyFone iTransor Backup and Restore Tool for iPhone (which is renamed from iMyFone D-Port Pro) is simply the best solution to help you manage your data before trying to operate two Kik accounts by logging out from one Kik account to the other. With this software, you can efficiently back up or export chat data without losing any. 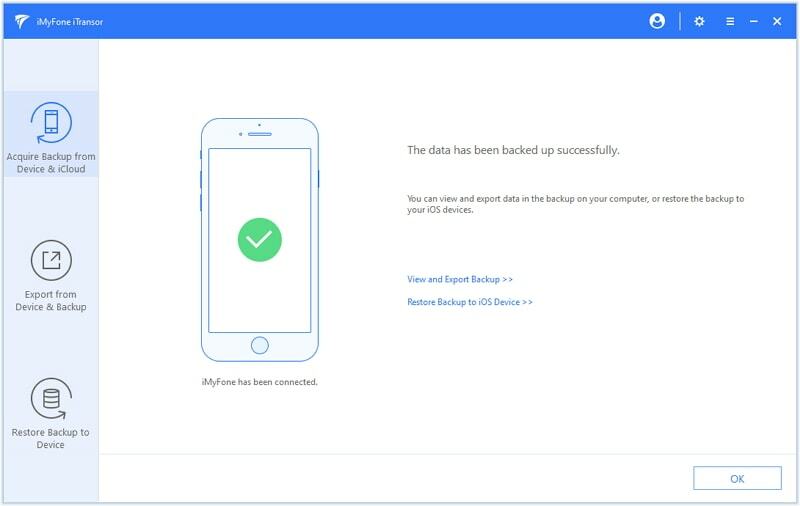 You can also back up your iPhone or iPad data to computer without overwriting existing data. 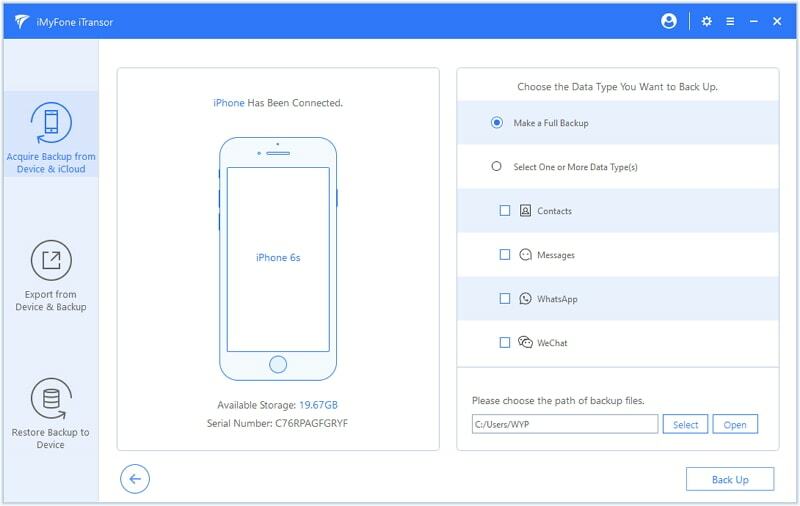 You can also export over 18 types of data from the iOS device or backup files. Step 1: Choose Export from Device & Backup from the left panel, then tap Export from Device. 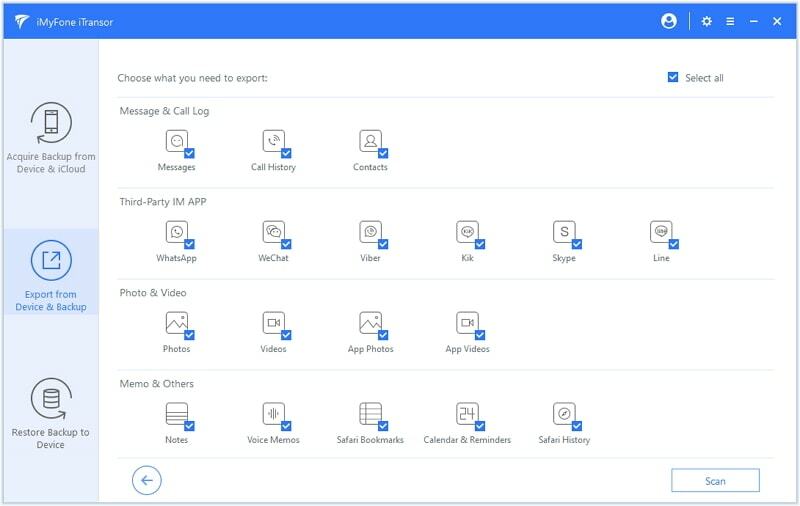 Step 2: On the next screen, you need to choose the Kik data type that you would like to export, then click Scan and the program will begin to scan your device. Step 3: Once the scanning finishes, you can preview the data in detail and select only what you need. Then tap Export. 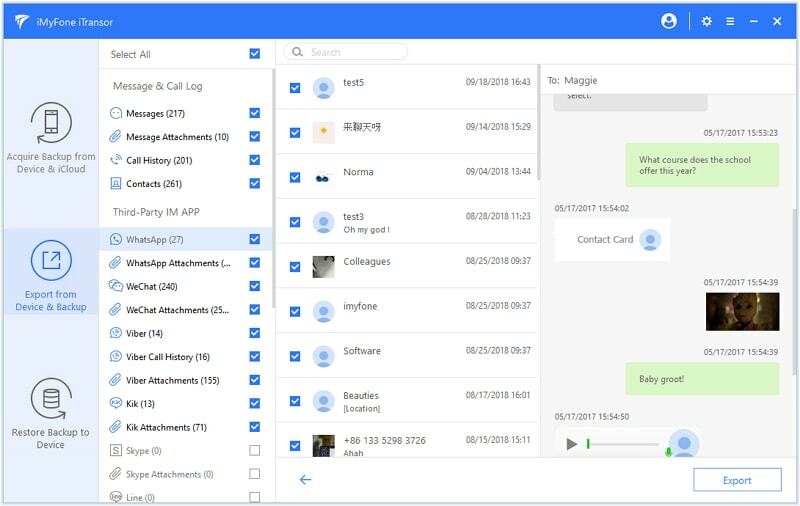 After the whole process, you can view your Kik data on computer whenever you want. 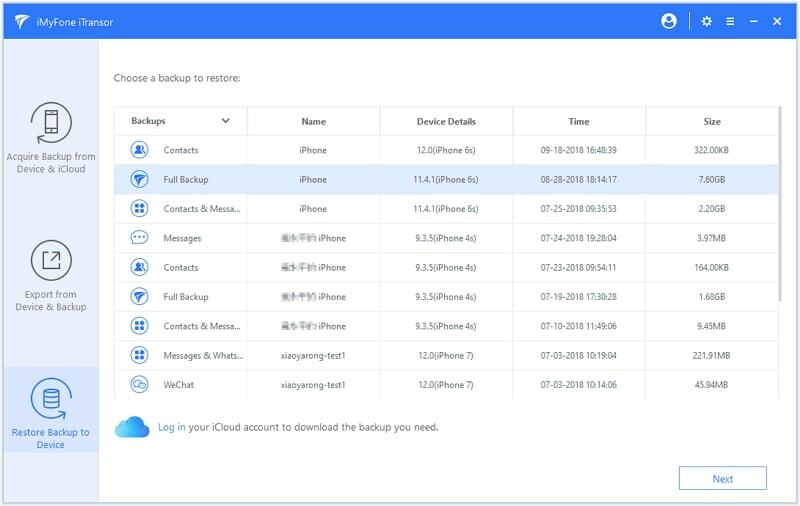 Step 1: Choose Acquire Backup from Device & iCloud from the left panel and select Back Up Device. Step 2: On the next screen, connect your iOS device to computer to proceed. After trusting computer on your device, the program will automatically recognize it. Then choose to make a full backup on the right section. Click Back Up button to confirm this process. 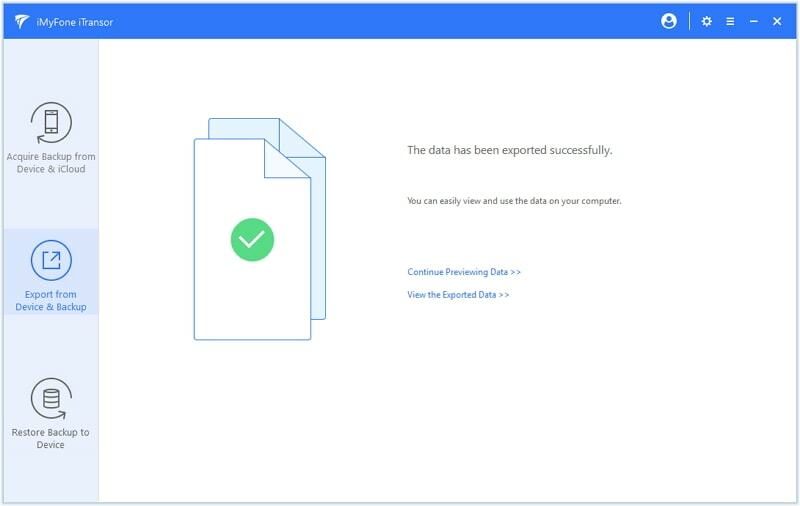 Step 3: Once the process ends, you will be notified that the data you choose has been backed up successfully. 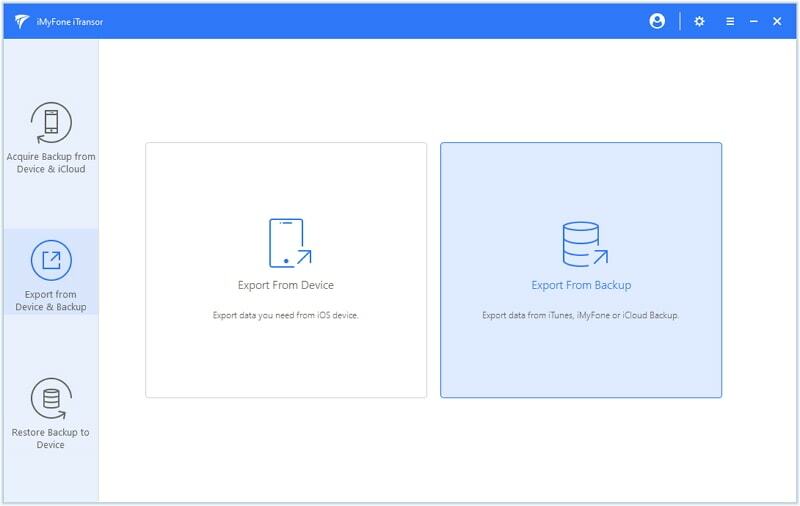 You can view and export data from the backup or restore your device from the backup later. If unfortunately you lose your Kik data after changing Kik accounts on one iPhone, you may need to check or restore your previous backup to iPhone. Here are the tips you need to know. 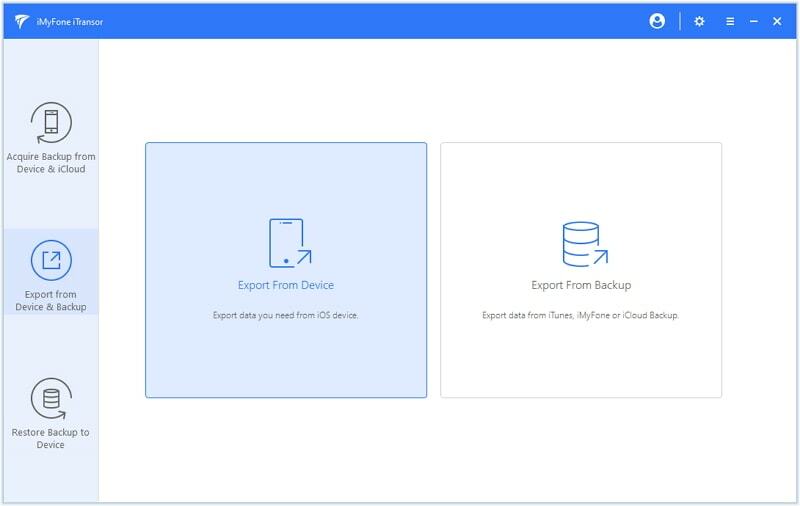 Step 1: Select Export from Device & Backup on the left tab and click Export from Backup. Step 2: Select one of the backup from the list and then click Next. 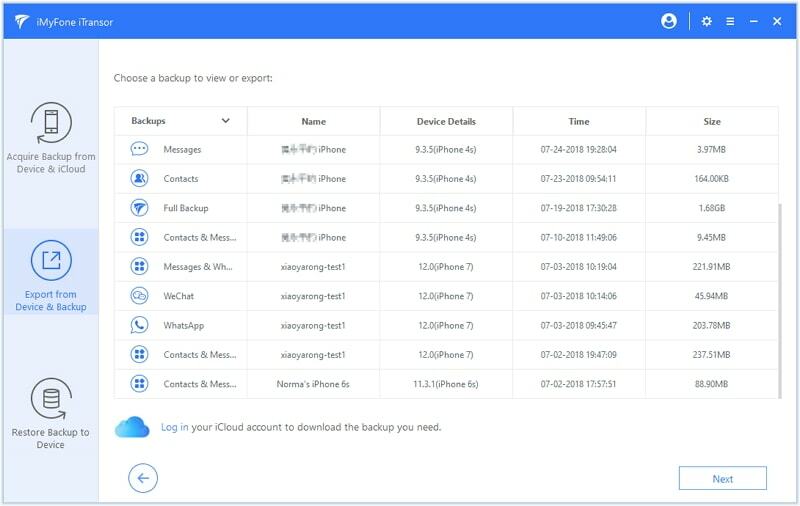 If you want to restore from an iCloud backup, just log in your iCloud account; if you want to restore from iTunes backup, just choose one to proceed. Step 3: Then you need to choose the Kik data that you want to export from the backup. Then click Scan to proceed. Step 4: After previewing, you’re allowed to export the Kik data to your computer. 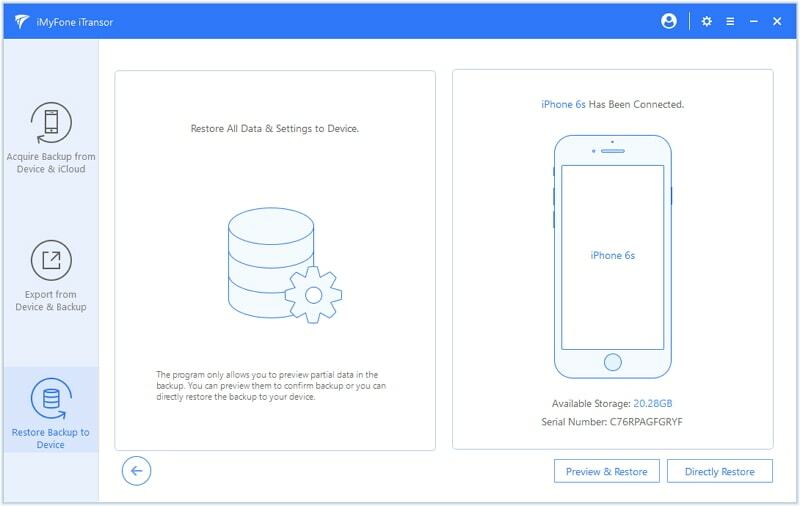 Step 1: Choose the option of Restore Backup to Device on the left and select one backup file you need. 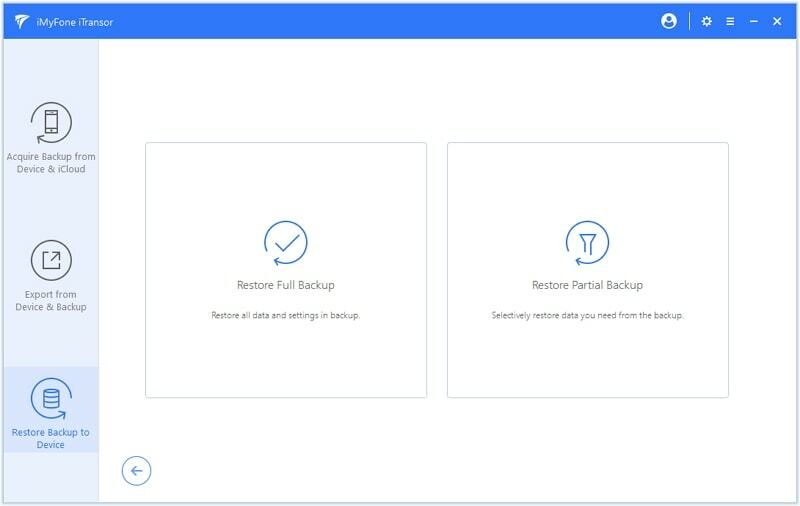 Step 2: there will be two options for you - Restore Full Backup and Restore Partial Backup. The differences will be listed on the program. For now this program does not support to partially restore Kik data, so you need choose Restore Full Backup. Step 3: On the next screen, read the notes in the left column. After connecting your device to computer and trusting this connection, if you choose Preview & Restore, you will view your Kik data after scanning. Step 4: You can preview and then click Restore to continue. Step 5: Fully Restore will replace all your current data from the bakcup. 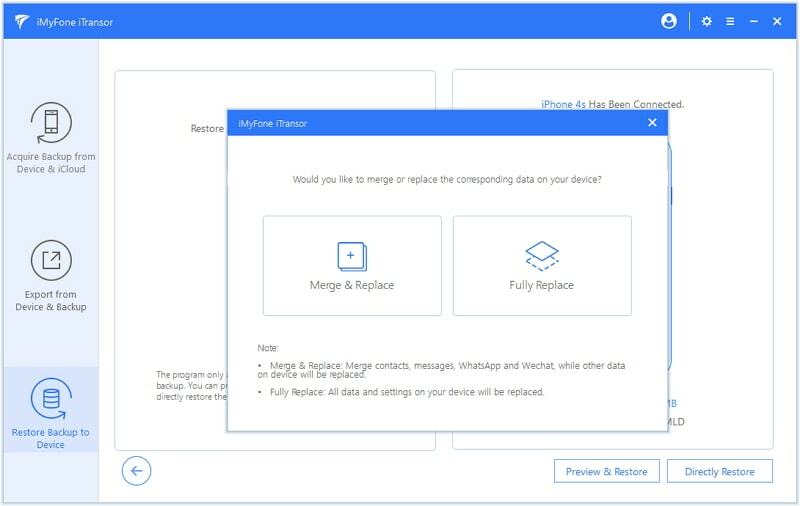 The Merge &Replace will merge your importan data like contacts, messages, WhatsApp and WeChat, but other data will be replaced. For now, iMyFone iTransor doesn’t support partially back up or restore Kik data. However, this will soon be solved. Even so, this is still a professional tool for you to backup and restore your Kik data from both account. When it comes to using two Kik accounts on one iPhone, there is no direct way to make it. So it will certainly be interesting for us to follow this topic.